K.O.s everything that is not a kitten! Attack 2 : TO CUTE! 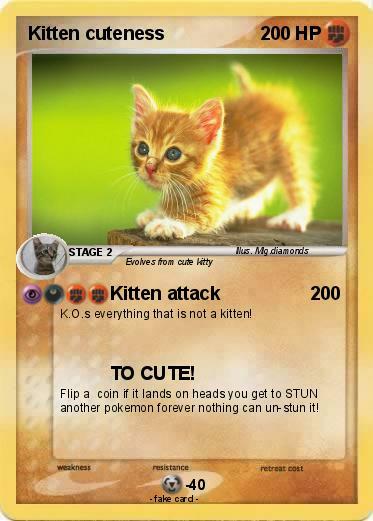 Flip a coin if it lands on heads you get to STUN another pokemon forever nothing can un-stun it!